Nationally, Obama received nearly 5 million more votes than Republican Mitt Romney. But in some states, large numbers of Obama's votes were packed into heavily Democratic congressional districts. As a result, Romney won 17 more House districts than Obama. — Health care. Democrats represent the vast majority of districts with high concentrations of people who had no health insurance before Obama's new health law, one of many reasons Democrats and Republicans view the law so differently. As the weeks wore on, polls showed Udall in an increasingly perilous position. Several of the GOP candidates — Ken Buck, state Rep. Amy Stephens and state Sen. Owen Hill — were within striking distance of the senator. But there was one big problem: Those candidates had a fraction of Udall’s campaign money, no small matter in a race that could cost each candidate north of $13 million. The one person who could make up that financial ground for Republicans was Gardner. In January, Gardner told NRSC officials he was having second thoughts. That prompted the committee to commission a poll that later showed the congressman had a good shot at winning. Gardner decided he wanted in the race — but not if it meant a bloody primary. He first approached his biggest roadblock: Buck. The Weld County district attorney had battled with the NRSC in 2010. But the two sides had smoothed things over during the past year, and Buck had a friendly relationship with Gardner. At a meeting with Buck at a Cracker Barrel just north of Denver, Gardner dropped the bombshell: He was seriously thinking about jumping in the race, and he did not want to battle Buck in a bruising primary. For days after that meeting, Buck mulled his options before encouraging Gardner to take the plunge, nodding to the congressman’s stronger polling and fundraising numbers. Buck even entertained sitting out the midterm election season altogether if it would help Gardner in the primary. Instead, Buck opted to run in a contested primary for Gardner’s House seat. He called up the congressman and asked for an endorsement for his House seat, something Buck said Gardner was “enthusiastic” in offering. The two denied any quid pro quo. The political horse-trading wasn’t over. Stephens, who was working aggressively to get volunteers to sign her petition in order to register for the primary ballot, was on her way to a women’s fundraiser in Denver when Gardner called and asked to meet with her right away. The two met that evening at a local restaurant. Gardner said he was considering jumping into the race, and asked her if she’d help clear the field. But she had campaign debt to pay off, which Gardner said he’d help settle. The next day, Stephens called up Gardner and told her she was out of the race. The final obstacle was Hill, a 32-year-old state senator who refused to be part of what he called a “backroom” deal and told Gardner his candidacy would be a “bad idea.” But days after Gardner announced his bid, Hill dropped out, after some of his supporters suggested he step aside. The Braley campaign misspelled a couple of basic Iowa-farm-related words –detasseling and baling – in its press release defending the U.S. Senate candidate's street cred with farms and farmers. A sharp-eyed Des Moines Register editor noticed that the news release said: "Bruce grew up in rural Iowa and worked on Iowa farms, detassling corn and bailing hay." Braley aides wrote the news release to try to tamp down growing criticism that Braley insulted farmers in caught-on-video remarks he made at a private fundraiser in Texas earlier this year. GOP operatives who found the video online released it Tuesday in an effort to damage Braley's strong momentum in his pursuit of retiring U.S. Sen. Tom Harkin's seat. At Politico, Alexander Burns and Maggie Haberman report on Republicans ready to fill the void if Chris Christie's problems keep him down. Marco Rubio, now halfway through his first Senate term, has surrounded himself with presidential-level strategists and policy advisers from the outset. His political operation is run by South Carolina operative Terry Sullivan, while the Rubio PAC Reclaim America brought on former Bush-Cheney and Fred Thompson fundraiser Dorinda Moss to manage the money flow. A closer look at Rubio’s finance reports reveal an even more sophisticated operation at work. In addition to several vendors long associated with Rubio — the TV firm Something Else Strategies and the pollsters at North Star Opinion Research — Rubio has paid hefty sums to more specialized political consultants, including $150,000 to the Republican data analytics firm 0ptimus. Also working for Rubio is digital consultant Mike Harinstein, a former Americans for Prosperity digital guru now at the firm Core Focus Consulting. And Rubio’s political machine isn’t just waiting for the “go” order. Reclaim America ran TV ads last year for Arkansas Senate candidate Tom Cotton and New Hampshire Sen. Kelly Ayotte, while his pollster was paid for multiple surveys. If Rubio runs, he’ll have plenty more hiring to do — especially in the early states — but the core of his national operation is perhaps the strongest in the field. Giving Rubio an early run for his organizational money is Bobby Jindal, who has formed two independent groups to push his national message: a federal PAC, dubbed Stand up to Washington, and the policy nonprofit America Next. Like Rubio, he has a core set of consultants experienced in presidential politics. They include the pollsters and ad men at OnMessage Inc., a Virginia-based firm that has worked for Jindal for a decade and employs former Jindal campaign manager Timmy Teepell. And the Louisiana governor has been aggressively courting national finance types, making four trips to New York City in this calendar year to compete on turf where Christie was once the overwhelming favorite, as well as trips to other major cities, like Chicago. Iowa Democratic Rep. Bruce Braley, a leading candidate for the U.S. Senate this year, was put on the defensive Tuesday by a video clip showing him warning that a Republican Senate takeover could leave the GOP's Chuck Grassley - "a farmer from Iowa who never went to law school" - in charge of the powerful Senate Judiciary Committee. Let us count the ways. Iowa is a farm state, and it's never a good idea to disparage one of the state's chief occupations. Next, it’s particularly not a good idea to demean your state when you’re somewhere else: In this case, Braley was speaking in Texas. Next, Braley, a trial lawyer, was making his pitch to a room full of trial lawyers at a private fundraiser (which is why he didn’t think he was being recorded). Trial lawyers are perhaps the most unpopular constituency among Republican base voters—besides Obama administration officials. Since midterm elections are all about motivating your base, Braley has given his opponent a turnout gift. Next, look where Braley is standing: If you’re going to talk down to Iowa farmers, at least don't do it next to a table of booze. It makes for amusing viewing and that reinforces the idea for voters that you're not one of them. In near-daily conference calls during the campaign in Florida’s 13th district, the U.S. Chamber of Commerce, the Karl Rove-led American Crossroads and the Koch-backed Americans for Prosperity -- among others -- fine-tuned their strategy targeting Democratic candidate Alex Sink. The Republican collaboration included a synchronized television- and web-ad plan, a battery of anti-Sink mailers and a last-minute recorded voter appeal by Senator Rand Paul of Kentucky to suffocate support for a third-party candidate who threatened to draw votes from Jolly. “We’ve worked closely with outside groups in the past, but with Florida-13, we took it to a new level with the depth of our cooperation,” said Carl Forti, political director of American Crossroads, a super-political action committee with ties to Rove, former president George W. Bush’s chief political adviser. In the midterm elections four years ago -- which saw Republicans win the U.S. House of Representatives -- the groups, parties and candidates found ways to maximize the impact of their efforts within the new legal framework. For example, the NRCC in 2010 broke tradition by publicly revealing its ad-buying strategy, which meant the friendly outside groups could fill-in around it or add volume. Coordination continued in 2012, when Crossroads officials led weekly conferences among the big outside spenders. The special House election in Florida foreshadows the refinement of those earlier efforts. For instance, the sequencing and messaging of the TV ads aimed at helping Jolly was seamless. The ad marks one of Rice's first endorsements of the 2014 election cycle, and Crossroads's first decision to support a Republican candidate who faces a competitive primary. In the ad, Rice responds to recent criticism from both Democrats and his GOP opponents that Sullivan is a carpetbagger. He grew up in Ohio and moved from Alaska to the Washington, D.C., area early last decade to work at the White House before serving under Rice on the National Security Council and at the State Department. At The Daily Beast, Lloyd Green notes that Democratic elites oppose the Keystone pipeline even though most ordinary Americans support it. [T]he current iteration of liberalism sounds more like reactionary 19th century Toryism, which, in the words of Siegel, attacked further industrial and commercial expansion as “impossibly vulgar.” Indeed, the Tories of that day, many of them big landowners, found an intellectual champion in one Thomas Malthus. Think aesthetics as politics, and academic credentials as peerage. Think of a latter-day Americanized version of Downton Abbey—where everyone knows his or her place, and our betters look best. It’s not that the public is anti-environment. Far from it. Rather, it’s that most Americans are pro-jobs, and the Obamans’ promise of green jobs galore failed to materialize. Back in 2008, Obama pledged to “create 5 million ‘green’ jobs . . . invest $150 billion over 10 years to deploy clean technologies, protect our existing manufacturing base and create millions of new jobs.” To put it mildly, Obama has come up short on each of these metrics. The President is better remembered for the debacle of Solyndra, the solar cell manufacturer that went bankrupt and left the taxpayer holding the bag; a sluggish recovery; declining workforce participation rates; widening inequality, and stock market records that only the one percent can afford to love. The administration is aware of its shortcomings on green jobs creation. A year ago, the Bureau of Labor Statistics (BLS) announced that it was pulling the plug on its publication “of new data on employment by industry for businesses that produce green goods and services.” While all this may have weighed on Podesta’s mind, it has apparently escaped the notice of die-hard gentry liberals. And make no mistake: They will definitely be kept awake at nights if the GOP controls the Senate come next January, with only themselves to blame. GOP Starting to Catch Up in Campaign Tech? In this case, they turned to a message—delivered across a variety of digital platforms and email—that focused on urging them to vote now or watch Democratic Minority Leader Nancy Pelosi move one step closer to reclaiming the speaker's gavel. Working out of RNC headquarters in Washington and a recently opened annex in San Mateo, in California's Silicon Valley, a growing staff of 40 has been working since last summer to bring the GOP's antiquated ground game into the digital age. Their goal: catch and surpass the Democrats who -- bolstered by the groundbreaking innovations of Obama's two presidential campaigns -- had a 10-year head start. The RNC believes its effort has turned a corner. After all, the Republicans are trying to copy an operation that the Democrats have been building, perfecting and training on for 10 years, ever since the party was outflanked by the GOP in the 2004 presidential election. Even if the RNC develops advanced digital tools in time for this year’s campaign, the committee has to teach a new crop of volunteers to use them, not to mention convince longtime strategists to embrace them. Crossroads Grassroots Policy Strategies, the nonprofit issue-advocacy group founded with help from Republican strategist Karl Rove, is making its television debut in the 2014 election. Its targets: President Barack Obama’s health care law and Democratic Sen. Jeanne Shaheen of New Hampshire, who’s preparing for a competitive re-election campaign as former Massachusetts Sen. Scott Brown readies a comeback bid in his adopted home state. As the four-year anniversary of the Affordable Care Act approaches, the law remains unpopular with the public. Currently, 53% disapprove of the 2010 health care law while 41% approve of the law. Opinion of the measure is virtually unchanged since last September. However, the new national survey by the Pew Research Center, conducted Feb. 27-March 16 among 3,335 adults, finds that when opponents of the health care law are asked about the law’s future, more want elected officials to try to make it work than to make it fail. A majority of ACA opponents – representing 30% of the public overall – want politicians to do what they can to make the law work as well as possible, compared with 19% of the public that wants elected officials to do what they can to make it fail. These opinions are little changed from December, but in the September poll opponents were more evenly divided over how they wanted elected officials to deal with the law. In light of the odd phrasing, it is striking than even 19 percent want officials to "make it fail." As the Obama administration deliberates over whether to allow the Keystone XL pipeline to be built, the proposed pipeline continues to draw broad support from the public. Currently, 61% favor building the pipeline while 27% are opposed. These views have changed little over the past year. As previous surveys on the pipeline proposal have found, there is far more support for constructing the pipeline among Republicans (84% favor) and independents (61%) than among Democrats. About half of Democrats (49%) favor building the pipeline while 38% are opposed. The new national survey by the Pew Research Center, conducted Feb. 27-Mar. 16 among 3,335 adults, provides an opportunity for a detailed look at differences among Democrats on this issue. Opposition to building the pipeline is most widespread among highly educated Democrats, liberals and those with high family incomes. The expected rate hikes will be announced in the coming months amid an intense election year, when control of the Senate is up for grabs. The sticker shock would likely bolster the GOP’s prospects in November and hamper ObamaCare insurance enrollment efforts in 2015.The industry complaints come less than a week after Health and Human Services (HHS) Secretary Kathleen Sebelius sought to downplay concerns about rising premiums in the healthcare sector. She told lawmakers rates would increase in 2015 but grow more slowly than in the past. Rank-and-file Nevadans are a whole other story. Sandoval’s approval ratings are just under 70 percent, a number any politician would envy. In-state Republicans love him, independents like him a lot, and even Democrats are favorably disposed. Right now, Sandoval is projected to coast to reelection in November, according to Politico. So how did Sandoval manage to offend the powers that be, but find favor across the board in his home state? Could it be by being the anti-Reid, the anti-Obama, and the anti-Christie all rolled into one? Could it be by being in touch with reality and appearing responsive to the citizenry at large, as opposed to just narrow interests? Could it be by exuding sunshine and optimism, and unhesitatingly reaching across the aisle? Impressively, Sandoval’s success comes amidst Nevada having gone Democratic in the last two presidential elections. But part of it is also about Sandoval’s own story. Sandoval is the first Latino elected to statewide office in Nevada, winning the attorney general’s seat in 2002, before unseating the incumbent Governor Jim Gibbons in the 2010 Republican Primary, and then defeating Rory Reid—Harry Reid’s son, in the general election. The audience reaction told the story: For Neel Kashkari, polite applause; for his GOP gubernatorial rival, Tim Donnelly, a prolonged roar of cheers. With that, hundreds of Republicans wrapped up the state GOP convention near the San Francisco Airport on Sunday with a resounding – and unofficial – endorsement of Donnelly’s candidacy for governor on a tea party platform that has left some moderates squirming. Kashkari, a Laguna Beach newcomer to California politics, has been collecting big-dollar donations from fellow investment bankers and other wealthy GOP donors to run a TV and mail campaign that he hopes will overcome Donnelly’s apparent grassroots support. But Kashkari’s cool reception among party activists underscored the challenge he faces in his quest to be the Republican chosen by voters in June to challenge Gov. Jerry Brown’s bid for a fourth term in November. Kashkari, who told the crowd of his upbringing as the son of Indian immigrants, is quickly becoming the most prominent public face of the state party’s effort to broaden its appeal beyond its core of white conservatives. Duf Sundheim, a former state Republican Party chairman, said he was optimistic that the effort would bear fruit, but probably not before 2018. The national party’s sullied image among Californians, combined with Brown’s huge lead in campaign fundraising, will make it “extremely tough” to unseat the popular Democratic governor, Sundheim said. “We don’t have a strong statewide ticket, unfortunately,” he said. Jonathan Martin and Ashley Parker write at The New York Times that congressional Democrats are increasingly nervous about the 2014 midterm. One source even said that President Obama had become "poisonous" to Democratic candidates. Planned changes to the Republican Party's presidential selection process are part of a rebuilding process that will strengthen the GOP brand and hopefully make its presidential nominee more competitive in 2016, Republican National Committee Chairman Reince Priebus told California Republicans on Friday, calling the GOP's current primary process "a complete disaster." Priebus said shortening the primary process by moving up the national convention at which the nominee is typically selected to June and cutting the number of debates are "not an establishment takeover. This is using your brain. Everything's not a conspiracy." "I think a traveling circus of debates is insanity in this party," Priebus told about 200 delegates. "We're proposing to have fewer than 10, and this time around, we're going to pick the moderators." With Scott Brown poised to run for Senate in New Hampshire, American Crossroads will launch a $600,000 ad buy next week against incumbent Democratic Sen. Jeanne Shaheen. The Republican super PAC says the contrast spot will begin running statewide on broadcast television Tuesday, including in Boston — where many Granite State voters get their news. Brown’s entry into the race is expected to give Republicans another prime pick-up opportunity in a purple state and reflects rising confidence in the GOP that it can win the six seats needed to gain a Senate majority in November. Brown’s move comes in the wake of Rep. Cory Gardner (R-Colo.) challenging Democratic Sen. Mark Udall and former Republican National Committee chairman Ed Gillespie taking on Sen. Mark Warner (D-Va.). The ad campaign, which will be broadcast statewide throughout next week, aims to give Mr. Brown a bump in the polls as he prepares to announce his candidacy. A Suffolk University-Boston Herald poll last week showed Mr. Brown trailing Ms. Shaheen by 13 points, and found his favorability ratings 20 percentage points lower than hers. Still, as recently as January, two polls showed the race would be neck-in-neck if Mr. Brown ran. Ms. Shaheen, who has seen her ratings sag since she was first elected to the Senate in 2008, is considered vulnerable due to her support of the Affordable Care Act, which has brought big problems to the Granite State. Republicans have been imploring Mr. Brown to join the race, as polls show that among possible GOP contenders, he is most likely to win the seat. Republicans hope his candidacy will put New Hampshire in play, just as GOP Rep. Cory Gardner’s Senate bid did in Colorado earlier this month. Democrats groups including the Senate Majority PAC and the League of Conservation Voters have already run ads attacking Mr. Brown, and American Bridge sent out an email Friday morning highlighting gaffes from his 2012 Senate campaign in Massachusetts, which he lost to Sen. Elizabeth Warren. American Crossroads’ campaign is its second buy of the cycle. In the weeks leading up to Tuesday’s special election in Florida’s 13th district, the group spent hundreds of thousands of dollars on an ad campaign knocking Democrat Alex Sink. RepublicanDavid Jolly won the race by a slim margin. Mr. McConnell is not only an incumbent senator who represents the party opposed to the White House in a midterm election, but he also comes from a state that opposes the president. Since 1956, only seven senators in these circumstances have lost re-election. The last time was in 1998, when John Edwards defeated Senator Lauch Faircloth in North Carolina. But 2014 is not 1998. Back then, President Bill Clinton’s approval rating was in the mid-60s. Today, President Obama’s ratings are mired in the low 40s. Kentucky is also not North Carolina, which only narrowly voted against Mr. Clinton. Kentucky is an extremely favorable state for a Republican candidate: It voted for Romney and McCain by an average of 25 points to the right of the country. From that perspective, there is no precedent for a McConnell defeat. No senator has lost in a state as favorable as Kentucky when the president represents the other party. And it’s not even close: North Carolina, it turns out, is the closest example. States with serious reservations about the incumbent president seem unwilling to dismiss the president’s opponents in the Senate. Republican David Jolly defeated Democrat Alex Sink in a special election in the 13th congressional district of Florida. In isolation, special elections do not necessarily portend national trends. But together with the generic ballot, statewide polls, presidential approval ratings, and other data, this result suggests a good year for the GOP. Florida’s 13th District is, in many ways, the archetype of the kind of seat Democrats need to win if they’re serious about erasing their 17-seat House deficit anytime soon. Its electorate is older, overwhelmingly white, and politically moderate — in other words, the kind of people who dominate many of the swing congressional districts across the country. In fact, the district should have been one of the Democratic Party’s most winnable targets. Of the 37 GOP-held seats that the Cook Political Report ranks as the most vulnerable to Democratic takeover, only 11 are more Democratic-friendly than Florida’s 13th. The district has just a narrow GOP registration edge. "The Florida CD-13 special was an important test market and there was unprecedented cooperation among outside groups," said Steven Law, CEO of American Crossroads, a conservative group that spent about $500,000 to help Jolly. "We intend to keep refining these lessons as we prepare for the fall elections." Crossroads embarked on a coordinated effort in January with American Action Network and YG Network. The three groups combined to spend more than $1 million on the race. But they weren't even the heaviest hitters. The National Republican Congressional Committee spent more than $2 million and the U.S. Chamber of Commerce chipped in more than a $1 million of its own money. Taken together, GOP groups outspent Democratic groups by about $1.25 million. Most of the Republican money went toward television advertising. Yet total Democratic ad spending still outpaced total GOP ad spending thanks to Democrat Alex Sink's huge cash advantage over Jolly. But the Republican groups spent money smartly, hitting the airwaves with complementary messages and avoiding stepping on each other's toes or doubling up unnecessarily. The Republican organizations "actually talked to one another and spaced out their buys so there was coverage the whole campaign. Not everyone was up at the same time. "It's a page from our playbook," said one Democrat with an eye on the race, who spoke on the condition of anonymity to provide a candid assessment. At The San Francisco Chronicle, David R. Baker reports on anti-fracking activists who are demonstrating against Jerry Brown. "We know it's rattling him," said David Turnbull, campaigns director for Oil Change International, the environmental group behind the fragrance spoof. "We know he's paying attention and he's hearing it. And we're hopeful that he's going to change. He does care about his legacy - that's pretty clear." Brown has not hesitated to engage fracking protesters in public. Because most of them aren't likely to vote Republican, the governor may decide he can safely ignore their demands, said Thad Kousser, a political-science professor at UC San Diego. "They need to have somewhere to run, if they want to run away from Jerry Brown," Kousser said. "So Jerry Brown's free to fend off these attacks on the left. And in fact, the more he fends off attacks from the left, the more he looks like a centrist." The top-two primary is an important, if little-noticed, reason why Brown can ignore the anti-fracking protesters. Under the old election rules, they might have been able to get behind a Green Party candidate to siphon votes from the Democrats in the general election. Such things have happened: Gore would have won the presidency in 2000 if Ralph Nader had not played spoiler in Florida. But under top-two, there will be no third-party candidates on the gubernatorial ballot in the fall. The anti-frackers can hoot and holler all they want, but they cannot really do anything except make noise. Public Opinion, Ukraine, and Obama: Negative Meh! As Russian troops remain in Ukraine’s Crimea region and Crimea’s Parliament has set up a secession vote, Americans prefer the U.S. to not get too involved in the situation. By a roughly two-to-one margin (56% vs. 29%), the public says it is more important for the U.S. to not get involved in the situation with Russia and Ukraine than to take a firm stand against Russian actions. The new national survey by the Pew Research Center, conducted March 6-9, 2014 among 1,003 adults, find more disapprove (44%) than approve (30%) of the way the Obama administration is handling the situation involving Russia and Ukraine, while roughly a quarter (26%) offer no opinion. Opinions about the administration’s handling of the situation are divided along partisan lines. A majority of Republicans (67%) disapprove of its handling of the situation, while most Democrats (56%) approve. Independents by roughly two-to-one (52% to 24%) disapprove of how the administration has handled the situation involving Russia and Ukraine. “I think we are going to crush them everywhere." Republican National Committee data operatives will build a list of the millions of Americans who have lost insurance policies due to Obamacare in order to help their candidates win over these voters at the ballot box in 2014 and 2016. "Getting that information [on plan cancellations] and having good data as to who votes, who doesn't vote, voter registration, party affiliation, consumer characteristics, cross-referenced with that kind of information, I think, is important for us to have," Republican National Committee Chairman Reince Priebus told the Washington Examiner after his CPAC panel presentation Saturday morning. It's early in the process, though, because the cancellations are still taking place. Priebus said the RNC's data goals won't be hindered by the leftward lean of many tech staffers. "We have not had a difficult time finding data scientists and software engineers," he said. "We've brought in some of the top engineers from LinkedIn, Yahoo, and Facebook that are working on these data projects that we have at the party." Jennifer Duffy, a Senate analyst at the nonpartisan Cook Political Report, put Republican chances of a Senate takeover at 40 percent but said that could jump past 50 percent by November. "The Republicans are competitive in places I didn't think they would be, but they still have some challenges," she said, citing the potential for divisive Republican primaries in Georgia, North Carolina and Iowa that could leave the party with weakened, ultraconservative candidates who might have difficulty winning. In Georgia, Nunn could face either Phil Gingrey or Paul Broun, Tea Party favorites in the House with a history of inflammatory comments on the campaign trail. Democrats are hoping for a repeat of 2010 and 2012, when Tea Party candidates won Republican primaries but blew winnable races by committing gaffes that helped Democrats paint the entire party as outside the nation's political mainstream. "One thing Democrats have going for them is the Republicans' continued ability to put their own foot in their mouth by making one provocative statement after the other," said Jim Manley, a former aide to Senate Democratic leader Harry Reid. "As folks step toward the voting booth, they are going to think long and hard about giving control of the Senate to a bunch of Tea Party types," Manley said. Some Republicans say the party has learned from those mistakes. They note that in Colorado, Gardner's entry into the race led two other prominent Republicans to bow out, a sign that party officials' effort to avoid debilitating primaries might be gaining ground. "I'm not seeing the problem with primaries materialize the way it did in previous cycles," said Brian Walsh, a former aide at the National Republican Senatorial Committee. "Primaries are only a problem when you nominate someone who can't win in November." In addition, a number of lobbyists and consultants have already taken formal positions with the “shadow campaign” that is being waged in Clinton’s name. In January, Priorities USA Action announced that Jonathan Mantz of BGR Group would become a senior adviser. The super-PAC, which was created for President Obama’s reelection campaign, is retooling in anticipation of a Clinton bid. Mantz was the national finance director for Clinton’s 2008 campaign. Jay Dunn, a senior managing director for FTI Consulting, was Mantz’s deputy in 2008, and lobbyists consider him a likely Clinton backer in 2016. Another prominent K Street supporter is former Rep. Ellen Tauscher (D-Calif.), who is an adviser to the super-PAC Ready for Hillary, which is already on the ground in primary states like Iowa and South Carolina. “She [Clinton] is perhaps inevitable because of her enormous skills and experience. … Only she can make the decision, and she hasn’t yet. So we will just have to wait and see, but for many of us, she’s the one,” said Tauscher, who was undersecretary for arms control at the State Department with Clinton. Texas's most high-profile Tea Party challengers flamed out in Tuesday's primaries, falling far short of their goals to knock off powerful incumbents. Sen. John Cornyn (R-Texas) beat back Rep. Steve Stockman's (R-Texas) quixotic challenge by more than 40 percentage points, while Rep. Pete Sessions (R-Texas) crushed local Tea Party leader Katrina Pierson (R) by a two-to-one margin. One of their keys to victory — the two influential GOP leaders took their challengers seriously and ran strong campaigns, raised and spent millions and left little ideological room for their challengers to attack them. Cornyn topped $10 million raised and ran hard, bringing in a top ally of Sen. Ted Cruz (R-Texas) to help run his campaign. Sessions raised and spent $1.5 million for the race. Cruz, the state's Tea Party hero, stayed neutral in the races and declined to even endorse Cornyn, which frustrated many establishment Republicans. But both results were as much about weak opponents as impressive incumbents. Stockman ran one of the most bizarre campaigns in recent memory, announcing his bid against Cornyn just minutes before the filing deadline, raising and spending almost no money and seemingly spending more time tweeting attacks on the senior senator than campaigning in the state. He took a multi-week overseas congressional trip during the short primary season, and made almost no campaign stops around the state. The Reddening of the Senate? Obama's poll numbers are still under water, and the budget deal takes two suicide pills out of the GOP's hands: shutdown and default. The GOP is nearly certain to hold its House majority, and quite possibly enlarge it. And as Charles Cook writes in National Journal, prospects for a GOP Senate are brightening. The Senate’s playing field keeps getting larger and, at least so far, entirely at Democrats’ expense. Three of their seats are, to put it charitably, uphill challenges. The open seats in South Dakota and West Virginia are pretty much gone. In Montana, it’s unclear whether newly appointed Sen. John Walsh is in any better position, apart from fundraising, than he was when he was just the lieutenant governor running for an open seat. Between national party committees and super PACs, the amount of money raised by the candidates and their campaigns means less than ever before. With a handful of people in each party apparently ready to spend $50 million to $100 million of their own money on behalf of their favored candidates, a lot of things that used to be important aren’t so much anymore. Five Democratic incumbents now face tough races, Arkansas’s Mark Pryor is in the most challenging situation, followed by Kay Hagan (North Carolina), Mark Begich (Alaska), Mary Landrieu (Louisiana), and Mark Udall (Colorado). Udall became the latest addition to the list when GOP Rep. Cory Gardner announced his candidacy Saturday. Also worth keeping a close eye on are Al Franken (Minnesota); Jeanne Shaheen (New Hampshire), if former Sen. Scott Brown runs; and Mark Warner (Virginia), who is as strong as a Democrat can be in that state but would be in trouble in the event of a meltdown. When there is a president with numbers this bad, even incumbents who might normally be OK need to be watched carefully, particularly if there is deeply unpopular policy weighing down the party’s candidates. The Post-ABC survey affirms those projections, showing Republicans in a stronger position than Democrats in the states with Senate races this fall and more than holding their own in the battle for control of the House. In the 34 states with Senate races, 50 percent of voters say they favor Republicans and 42 percent favor Democrats. As for the tech and analytics deficit, the GOP is still playing catch-up. The Republicans have called their in-house campaign tech start-up Para Bellum Labs. But where this venture goes remains an open question. And let’s face it, naming a tech initiative after a pistol used by the Germans in World War II is a tad too retro, and certainly does not augur well for Republican rebranding efforts. In contrast, Team Clinton has snagged Jim Messina, the tech savvy Obama 2012 campaign manager, and former Deputy White House Chief of Staff. Messina is becoming what Karl Rove was once, and more. For the record, Messina is a partner of Google’s Eric Schmidt, and is also advising British Prime Minister David Cameron, which should tell you how far right Silicon Valley perceives the GOP to be, as well as something about Messina’s own dexterity. Sasha Issenberg, the politics and tech watcher summed-up the Republicans’ tech predicament this way, “With an eager pool of academic collaborators in political science, behavioral psychology, and economics linking up with curious political operatives and hacks, the left has birthed an unexpected subculture. 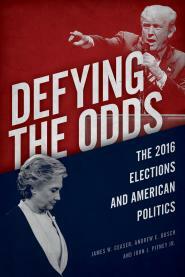 It now contains a full-fledged electioneering intelligentsia, focused on integrating large-scale survey research with randomized experimental methods to isolate particular populations that can be moved by political contact.” In other words, the art of electioneering is stacked in favor of the Democrats. More than 3,500 pages of previously secret Clinton White House documents made public Friday showed that the more things change, the more they stay the same. With the potential for politically volatile details in the documents, groups trying to bolster or harm Clinton's possible presidential ambitions made clear they would be having a look. America Rising, a pro-Republican opposition research shop, told CNN that "we'll be poring through them," with a person on ground in Arkansas for that purpose. Correct the Record, a pro-Democratic group with deep ties to the Clinton family, also told CNN it would have a team going over the new information.